We have found 10 ways that you can turn old items that you no longer need into adorable and functional wall hooks. They are fully functional as well so you can use them to hang other decorative items, coats, towels or just about anything you need. 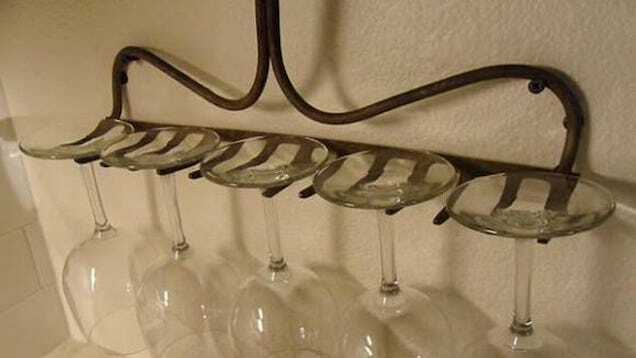 Old Garden Rake as a Wine Glass Holder. This is a amazing repurposed wall hook idea that won’t cost you much.